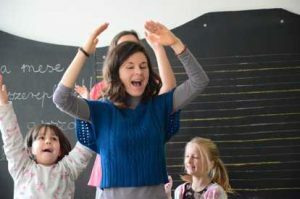 I have always thought that the best way to teach a language in a classroom is by creating an atmosphere which enables pupils to take an imaginary trip to the culture of the given language. If we have ever had the chance to travel, we all know that in order to absorb the local culture and get to know the different aspects of it, a few days trip to a country isn’t enough. An intense and a more extended stay is necessary so that we can get immersed in it. During my experience as a language teacher I found that the same rule applies to the regularity of the lessons. The more intense the input of a given language, the greater impact it will leave on the pupils. 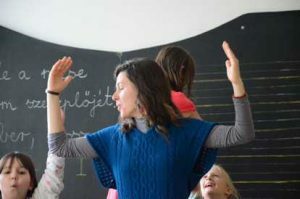 I teach English and Spanish in the lower grades of the Waldorf School in Szeged, Hungary. When I was contracted for the job a year ago, the school killed two birds with one stone as they did not have to employ a teacher for each language taught there. There was only one concern: being the only one who teaches both languages to the little ones, how will they know which language is on the menu for the day. 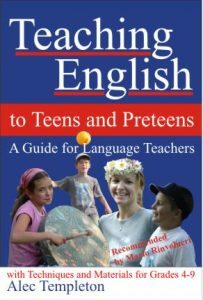 After a bit of brainstorming one of the teachers suggested the idea of teaching the two languages in two- or three-week blocks. I gave it intent with a great deal of curiosity. I teach in blocks in the first four grades, while I have the habitual two-lessons-per-week setup in the fifth grade, where I only teach Spanish. Therefore, I had the chance to compare both ways of teaching a language. For two weeks -eight lessons in total- we make an imaginary trip to the world of English and after that we move to the world of Spanish. 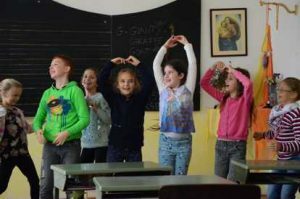 As it usually happens when we actually travel, the first lesson is always about transition- getting accustomed to the musicality of the language again, recalling the songs, poems and games that belong to that specific language. I try to make a clear distinction between these two worlds by using different musical instruments, rituals and costumes. My experience shows that they enjoy spending two weeks visiting only one world by living it to the fullest and making the most of it. At the beginning of each two-week block I introduce something new to them that they can get really excited about, and the eight lessons allow us to fully immerse ourselves into it. This usually results in a very intense and memorable experience which, based on my experience, enhances the success of the acquisition of the given material. In the future, it is the intensity of the experience which will help them to recall all that they have learnt. 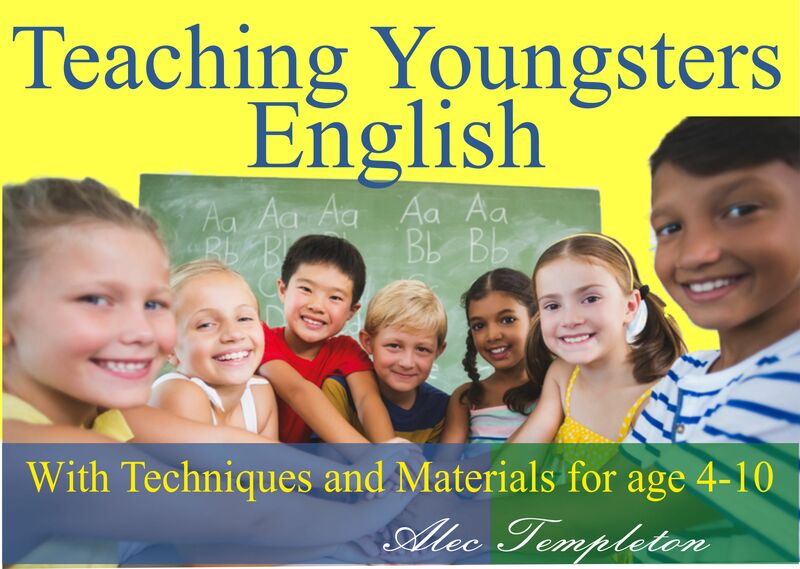 Focusing and working with only one language at a time enables the children to master the certain topics within a shorter period of time. If I stuck to the habitual practice of the two lessons per week, the same topic would be stretched out for far too long in time. I actually feel that this is the case in the fifth grade where due to the lack of intensity they are slightly less excited in general. By the time we meet again, their enthusiasm for the given topic dwindle considerably as dealing with one topic takes too long. While in the other classes the eight lessons during the two-week block fully satisfy their interest for the topic keeping their excitement really high. Another advantage that teaching languages in blocks offers is that the mixing up of the two languages is reduced to the minimal. The first lesson after the switch is dedicated to revision, and the children quickly become attuned to the language that was in off mode for two weeks. Consequently, during the English block they hardly ever ask for games that we play during the Spanish block neither vice versa. Deactivating the languages for two weeks can also help the learning process by enforcing the children’s ability to trigger information that is not too recent. My experience tells me that by the end of the two weeks they get sufficiently enough of one language to start really looking forward to working with the other. This is a good way to prevent that they get bored of either of them. I personally find it more convenient and enjoyable to teach in blocks for all the above mentioned reasons and also because I belong to those who enjoy being present in the moment wherever that is. When I am in Spain, I live like the Spanish enjoying ‘las tapas, la siesta and the fiesta’. I like to stay there for long enough to be able to get used to their lifestyle and enjoy it. It would be utterly confusing if in the middle of sipping my Sangría on a sunny beach I would be dragged to the rainy English countryside to drink a 5 o’clock tea with some really polite Britons. Neither world is better than the other, but they are undoubtedly different, and it takes time to adjust to new circumstances. 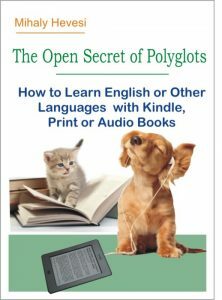 Likewise, I consider it more ideal to deal with one language at a time diving deep into all its mysteries and peculiarities with an intense focus.